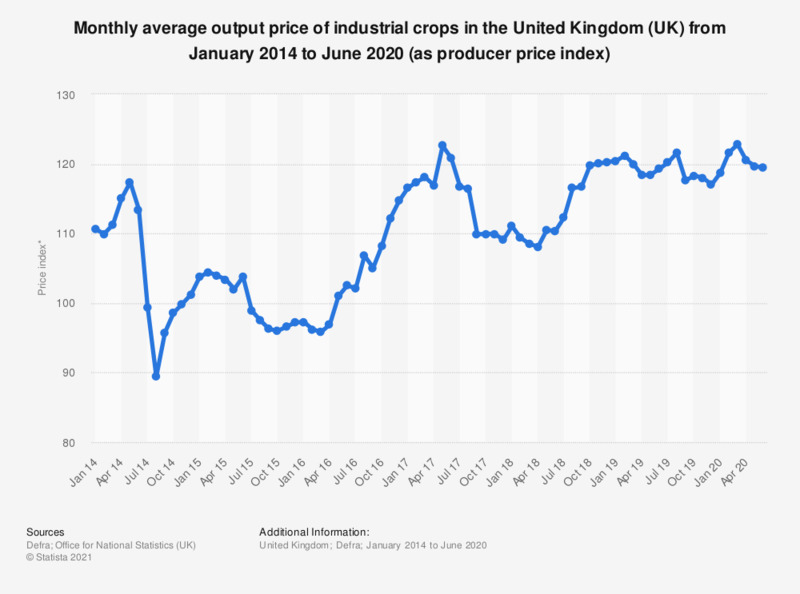 This statistic shows the average monthly output price of industrial crops in the United Kingdom from April 2014 to March 2018. In March 2018, the average monthly output amounted to approximately 102.6 index points. The Agricultural Price Index (API) is used to measure price changes in agricultual outputs and inputs by the Department for Environment, Food and Rural Affairs in the UK. The output figures given in this statistic reflect the price farmers recieve for their products, also known as the farm gate price.